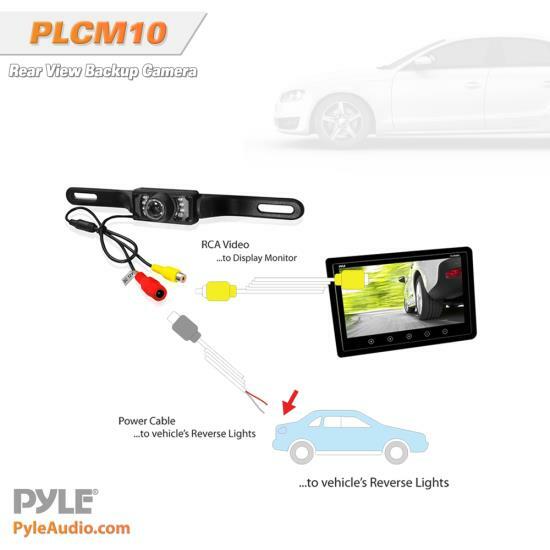 The Pyle PLCM10 is a backup camera featuring CMOS Sensor Technology and more. It mounts easily above your license plate so you can install it without any permanent vehicle modification. 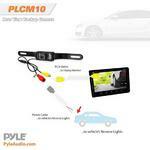 Thanks to using the latest in backup camera technology, it outputs crystal clear video over an RCA jack. 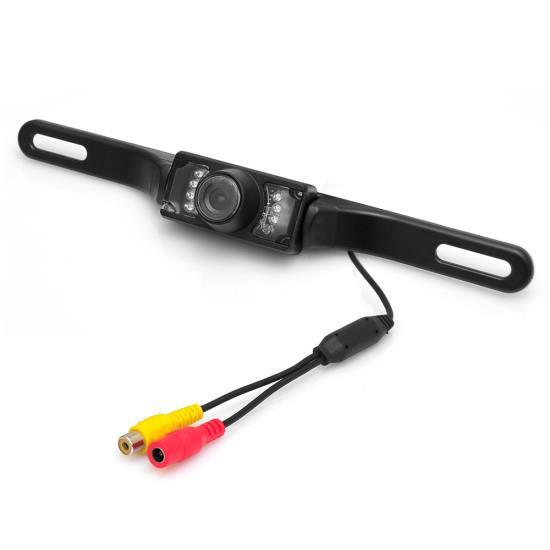 Connect it to a monitor in your car, and you'll be able to see everything behind you on the screen! Bicyclists, children, and pedestrians will have nothing to fear when you've installed this affordable, high-quality camera to your vehicle. 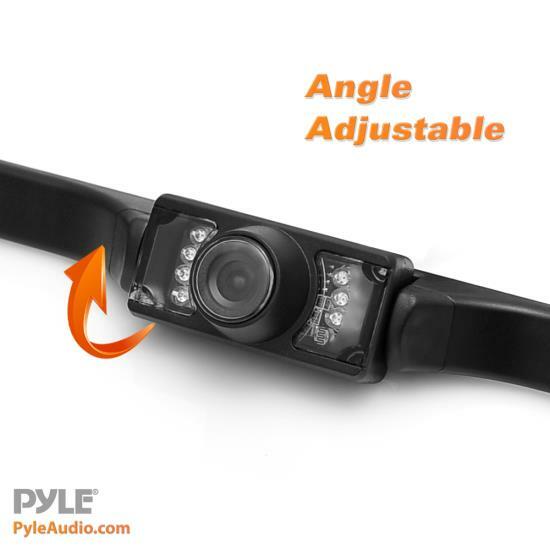 It's also perfect for backing into tight spots or moving in reverse when visibility is limited – the camera acts like a third eye hovering just above your rear bumper. 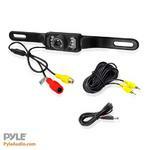 And that's not all – this model comes with night vision LEDS, which illuminate the area behind you at night. This small and durable unit will keep you and your family safe and secure because you'll always know what's going on around you. 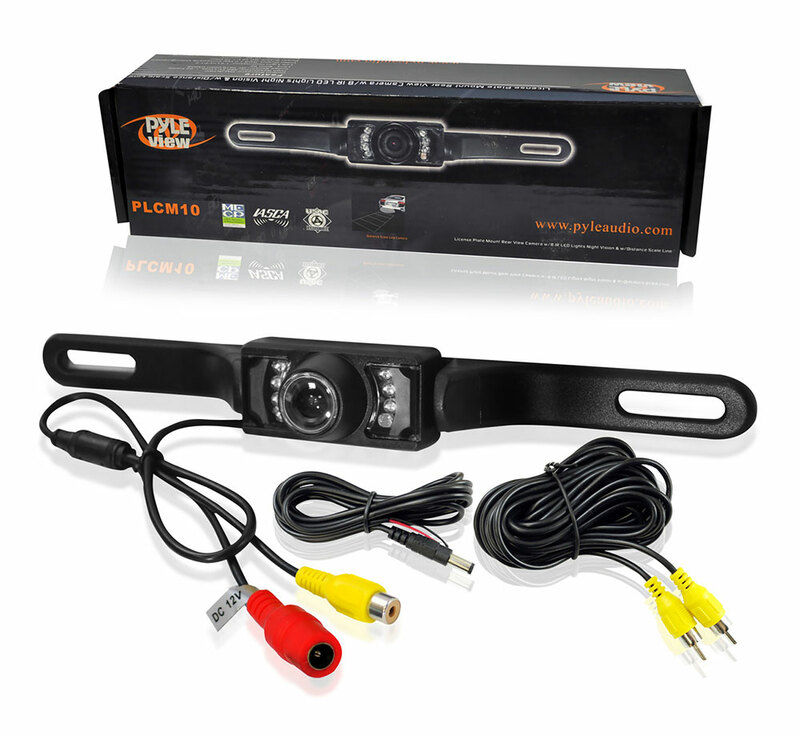 See Where You’re Going – Even in the Dark - The PLCM10 features night-vision LED lights, which light up the area around your camera, helping you see easier in the dark. 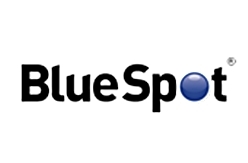 Your camera is protected from the elements since it's built with weather protected housing. That way you can drive safely no matter the weather.